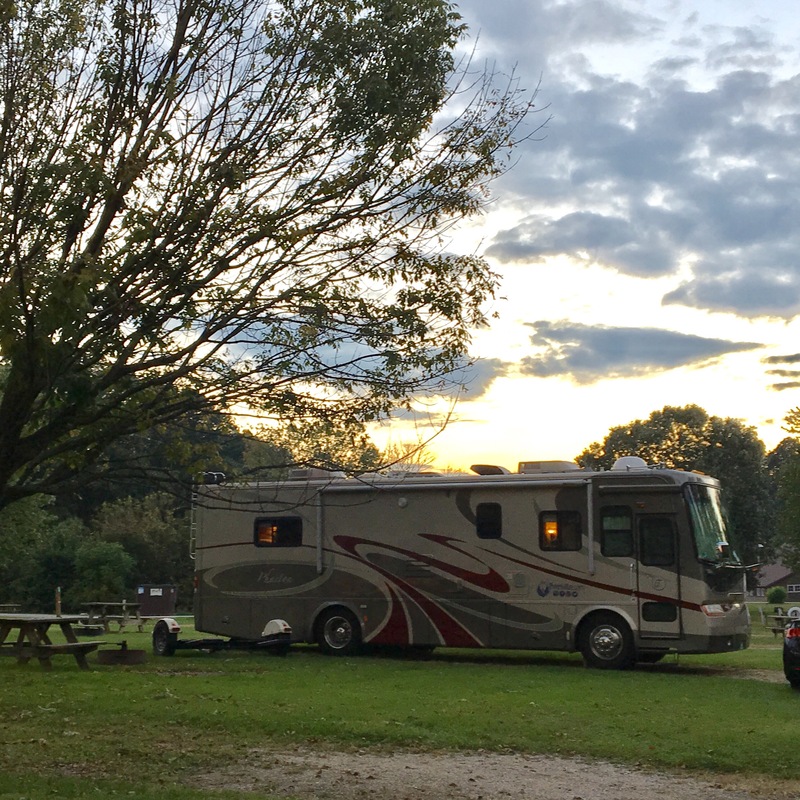 Lenwood Lake Campground in West Bend, WI was our second ‘home’ on our Fall Colors Tour. I’m still pretty new to this whole RV Lifestyle. 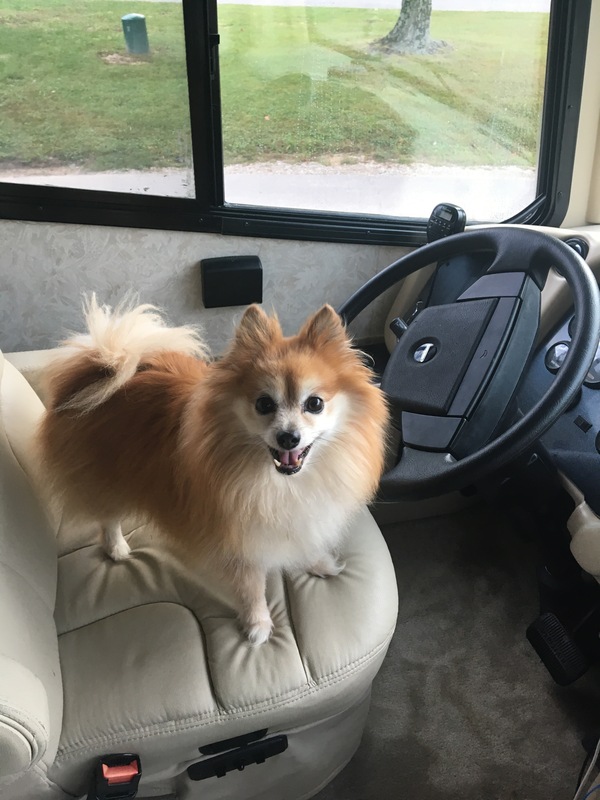 I’m generally a 5 Star Hotel kinda girl, so living out of an RV has been a whole new world for me. Don’t get me wrong, we’re still certainly not ‘roughing it’ in our RV. It’s bigger than many apartments and has more bells and whistles than I know what to do with. We’ve got a bathroom and a shower with plenty of hot water, a decent sized kitchen and satellite tv…. I’m not suffering here. Campgrounds are still something to get used to though. The amenities vary widely. Even though our RV is designed so that we could go a few days without water or electric hookups it’s far more comfortable with than without. With that in mind, Brian has been trying to pick campgrounds with full hookups and onsite facilities. Traveling north as we enter the winter season has made that more of a challenge. Many campgrounds were already shut down or would be by the time we arrived. We arrived at Lenwood Lake Campground during the last week of their season. We actually spent an additional day there after their official close, but they were aware of our schedule and kindly let us stay the extra day. Lenwood was a nice enough campground with a pretty beach and playground area. There weren’t any laundry facilities onsite, but there was a very nice laundromat about 20 minutes away in Cedarburg. The bathrooms were clean, but they smelled ‘old’. Not sure of any other way to describe the smell… it wasn’t dirty or mildew-y…. they just smelled old…. but they were very clean. The shower was clean too… but creepy looking… not a chance in hell that I was stepping in there. All in all, Lenwood Lake Campground was a nice place to stay in Westbend, WI. It was centrally located to Cedarburg, Milwaukee and the other little shopping towns in the area. The bathrooms were clean, but I wouldn’t plan on using the showers. Since water hookups included with the sites it wasn’t a problem for us anyway. There were other sites that had prettier views of the lake, but since we were leaving after they closed they put us up at the front of the campground. If we were to visit this campground again I’d ask for one of the sites overlooking the lake. Though if you were traveling with kids you might prefer the front of the campground since it is closer to the playground and the beach. 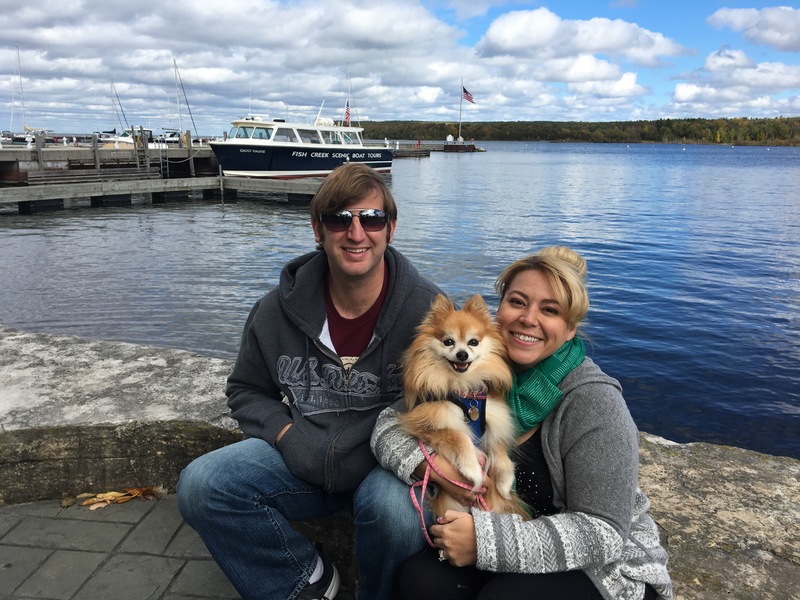 Door County, Wisconsin was fun. Lots of pretty countryside and picturesque sites. We went to the Sister Bay Fall Festival one afternoon. I thought it was a bigger event, but apparently when Brian and I visited last year there were a couple different festivals going on around the county and I’d just squooshed them together in my mind. The one Festival was still fun… just not as big as I’d made it in my head…. so it didn’t take nearly as long to see the crafts and then be done for the day. 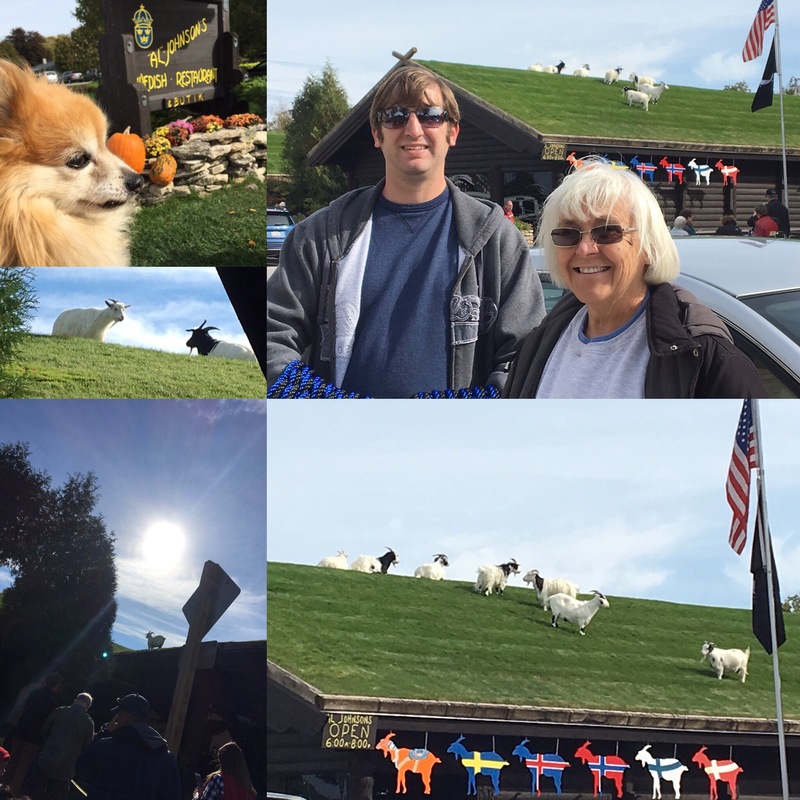 Goats on the roof of Al Johnson’s… eating the grass roof! Mom and I are getting seriously claustrophobic in that RV so we kinda revolted when Brian wanted to go back after the festival. 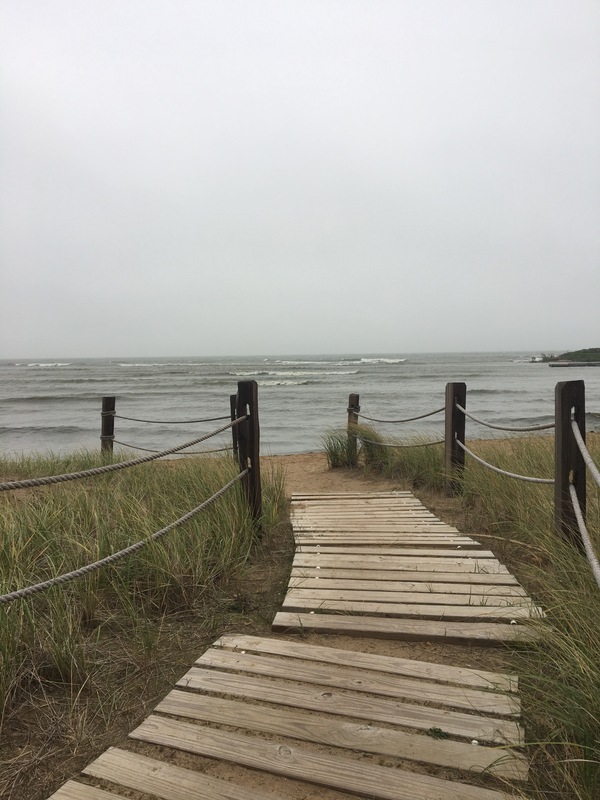 I pouted until he said we could go look at the damn lighthouses (he didn’t say ‘damn’ outloud, but you could still hear it implied). 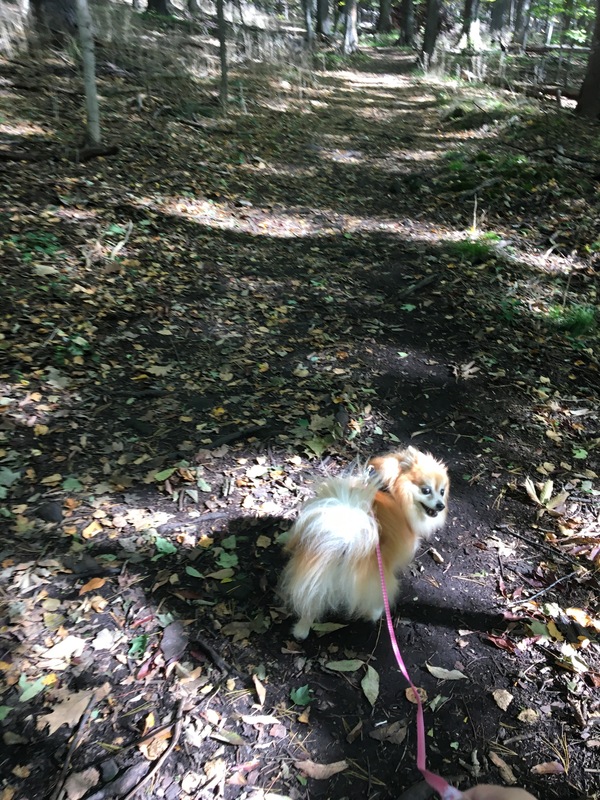 I kept trying to get a cute shot of Boo leading me through the woods… the light was so pretty filtering down through autumn leaves and Boo looked so adorable trotting down the trail. 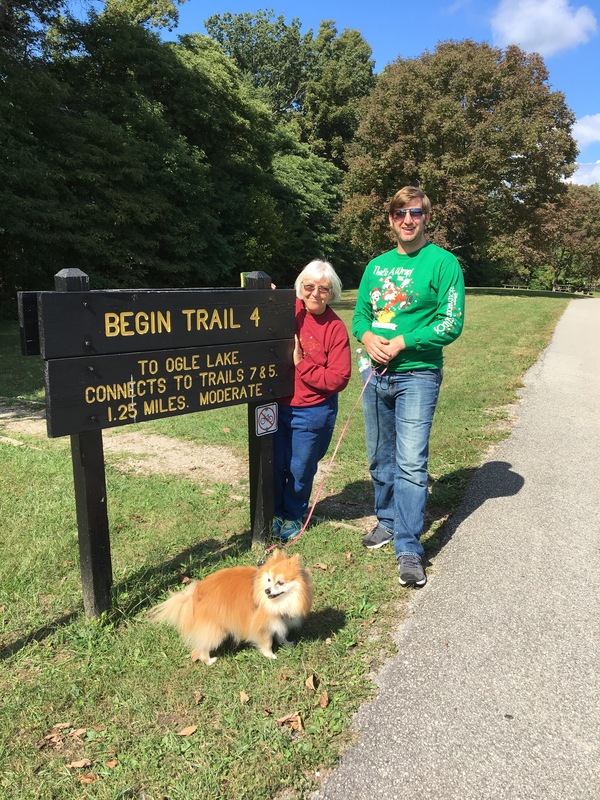 I finally convinced Mom and Brian to keep walking so that Boo would keep walking so that I could take the picture…. and I promptly got tangled up in her leash, stomped on her paw and rolled my ankle over a tree limb. Boo’d had enough of me and my stupid camera after that and I apologized and carried her the rest of the way back. 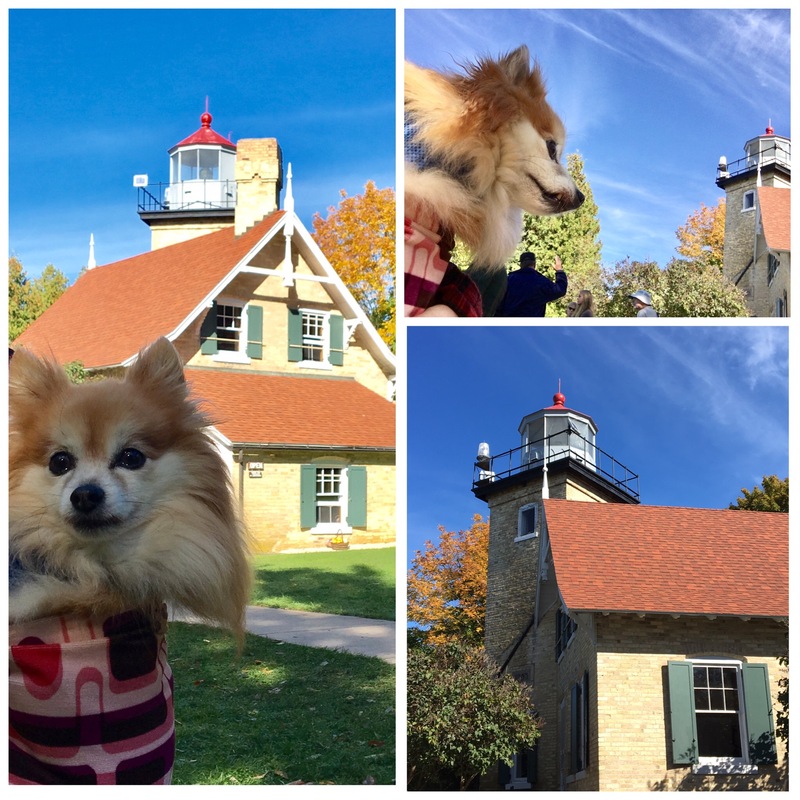 Door County is filled with cute little touristy areas on a peninsula… there’s not a lot of trouble we could get into and since it was a peninsula I probably couldn’t manage to get too lost…. but fine! We’d go entertain ourselves… hrump! So we went shopping…. at every antique store on the whole damn peninsula. I found the deviled egg dish that I’d been hunting…. 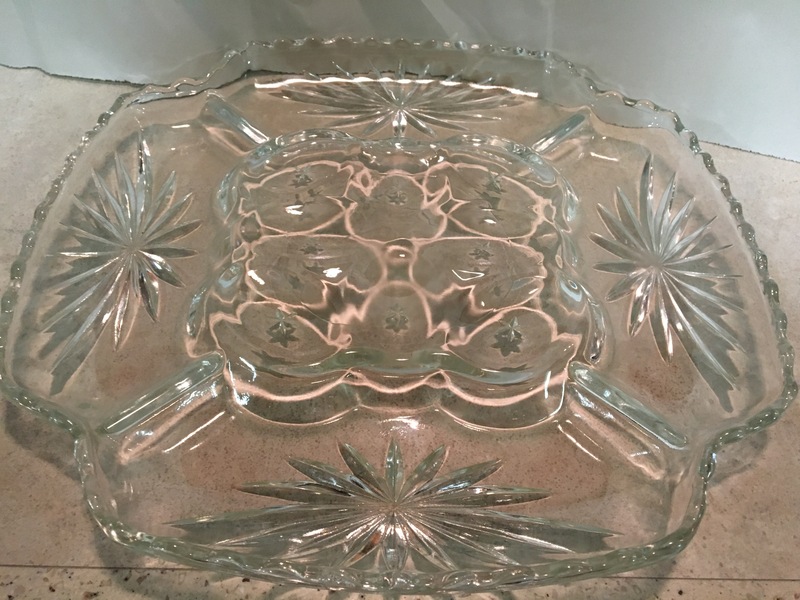 Grandma used to collect Early American Press Cut glass (EAPC) – Star of David pattern. I loved her collection and I loved that she USED it. It wasn’t like she collected it and it went on a shelf… she liked it, she’d find it at yard sales and she’d buy pieces for a quarter and use them. I used to borrow her fancier pieces, like the punch bowl and the platters for parties. When she passed I got her collection and I’ve been adding to it slowly. I have these rules for collecting though… I’m not paying crazy Antique Store prices for any piece. Most pieces can be found at yard sales for $.25 – $1.00. Everybody’s grandma had a few pieces so they’re always turning up at yard sales. There are a few ‘rare’ pieces that I’m missing, but I’m not paying $25-$50 for ’em. 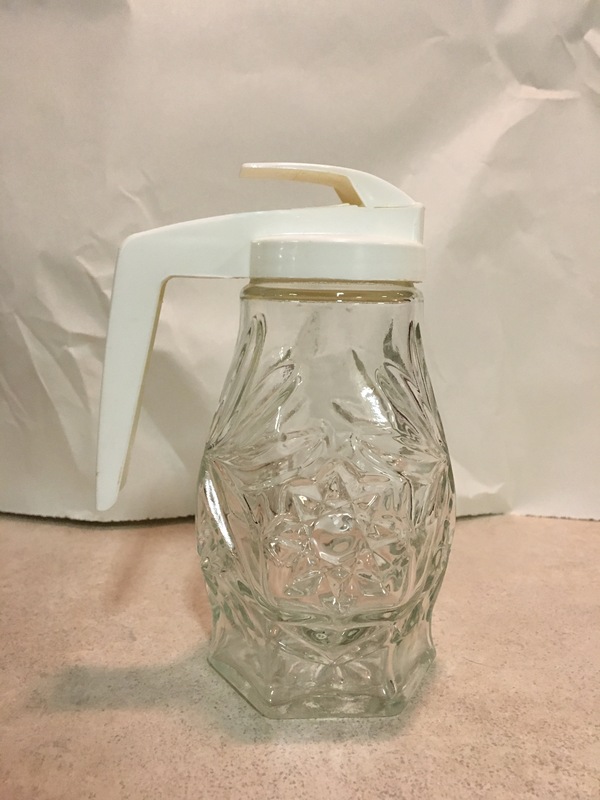 I’ve had my hands on both the syrup pitcher and the egg dish in the past, but never for less than $25…… I got both of these pieces for less than $20!!! 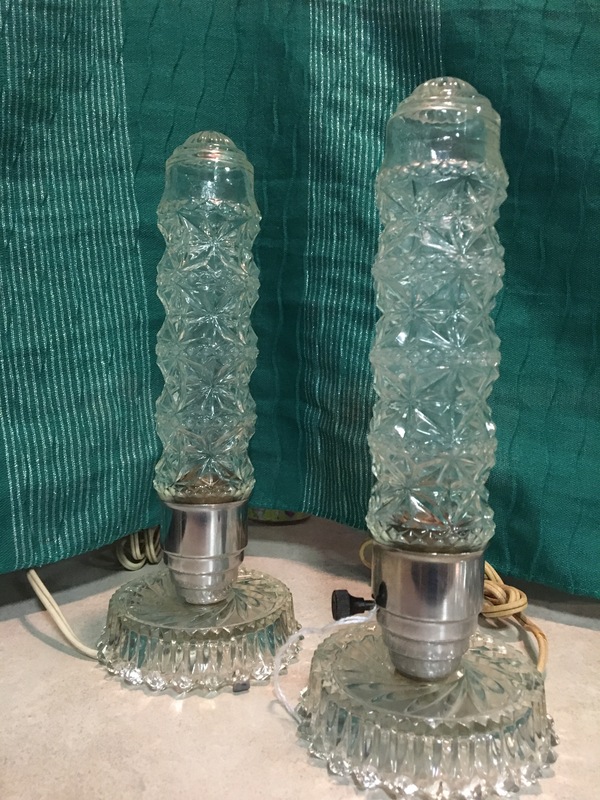 I also found these cool Torpedo (or bullet or boudoir) lamps! (Don’t say anything dirty about my lamps… I think they’re cool.) I’d never seen anything like them before… and they were on sale! Brian will have to put new electrical cords on them… one has a wear spot on it that makes me nervous. So shiny! I still hadn’t had enough retail therapy by that point… and we were still gonna show Brian how much fun we could get into on our own… so we stopped for lunch at the Cookery. Mom and I each ordered a sandwich and then traded half. New discovery! 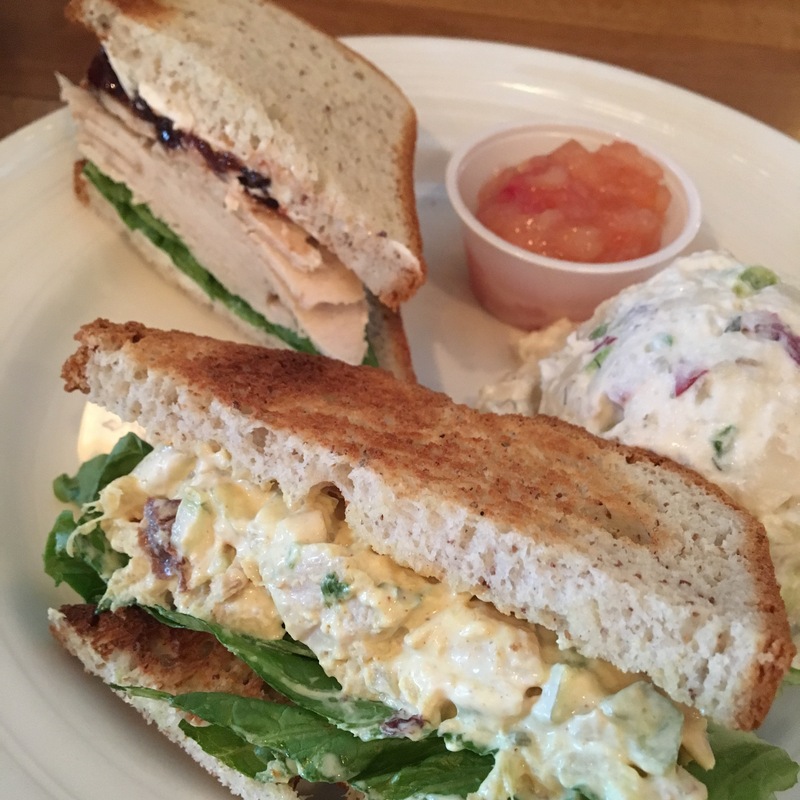 Cream cheese and cherry jam tastes fabulous on oven roasted turkey slices! (With gluten free bread, of course.) Oh! And applesauce with cherries is equally delicious. It wasn’t that mushy, baby food applesauce… this was thick, chunky, cinnamon-y applesauce with tart cherries. OMG! I bought a jar of the applesauce to take back and show Brian all the awesomeness that he’d missed out on. It was still pretty early, even after we’d sat and talked over iced tea and cherry lemonades…. so we decided to just drive around the whole damn peninsula. I checked the gas ‘range’ thingie on the car… I had 130 miles and I figured that’d be plenty… so off we went! When the gods built me they didn’t waste a lot of internal space (space that could be dedicated to my tummy for stuffing full of all kinds of yummy food) on a silly thing like a bladder…. I’m pretty sure they gave me and extra-extra small bladder. Also, I am part raccoon. (You didn’t know that, did ya?). Well it’s true….. and I can’t eat a meal without a ton of water… or iced tea…. and those two factors (which are completely beyond my control!) have led me to some pretty interesting bathroom stops. Me: Mom, I’m gonna die if we don’t stop. By that time it was starting to get dark and we were pretty cold… and all the shops were closing…. so we decided that we’d punished Brian enough… and we headed home. When we got back Brian had made pizza… from scratch…. so we forgave him. The next day, apparently Brian had learned his lesson (or perhaps he’d seen the credit card summary…) and decide it was better to go with us. 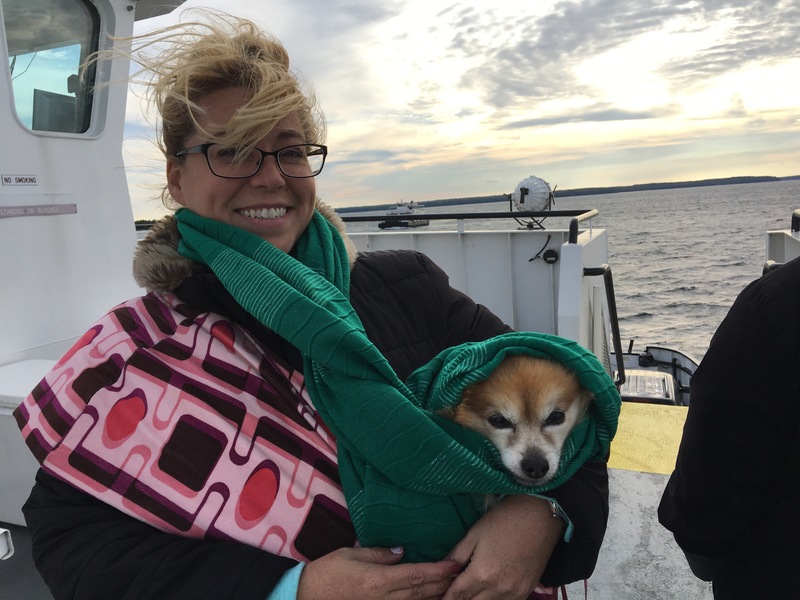 Mom wanted to take the ferry to Washington Island… so we loaded up in the car… I mentioned that Brian should maybe check the gas before we got too far….. and headed to the ferry. 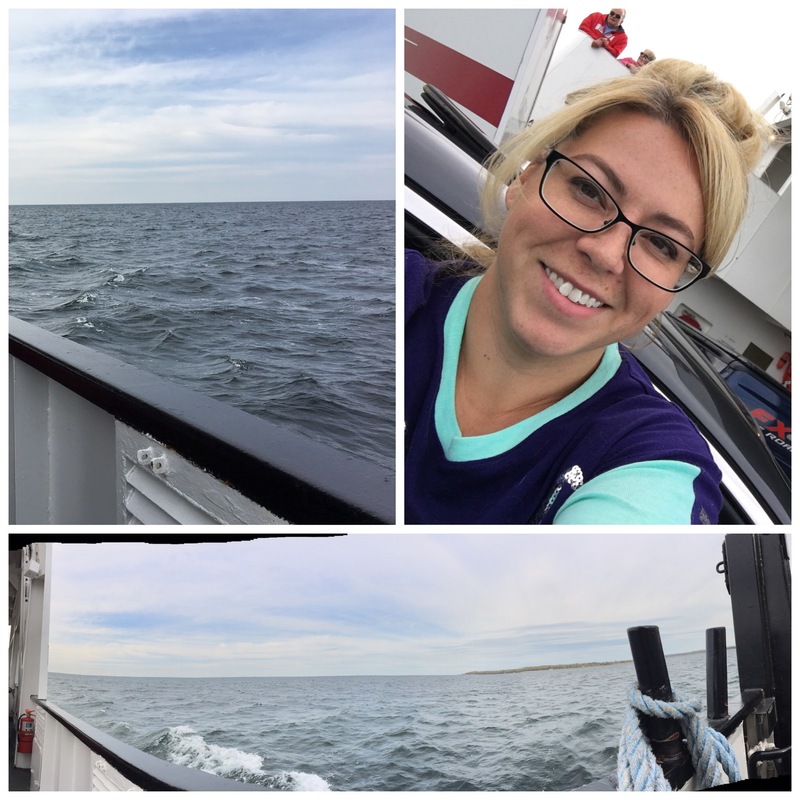 I’ve been on lots of boats and ferries and I’ve never gotten sick… I love boats! I don’t generally get car sick (as long as I’m not in the back), but apparently the combination of ‘car on boat’ does make me sick. The ferry had barely left the dock before my stomach started to roll. I opened the sun roof hoping that I just needed air, but that wasn’t nearly enough air. I rolled the window down and leaned my whole head and torso out the window…. for the whole trip. Mom and Brian were fine. Boo was jealous that I got to hang my head out the window and we won’t let her do that. There wasn’t a whole lot to do on the island… it’s a tiny island…. but we stopped at an art school shop that’s sells things that the artist make. 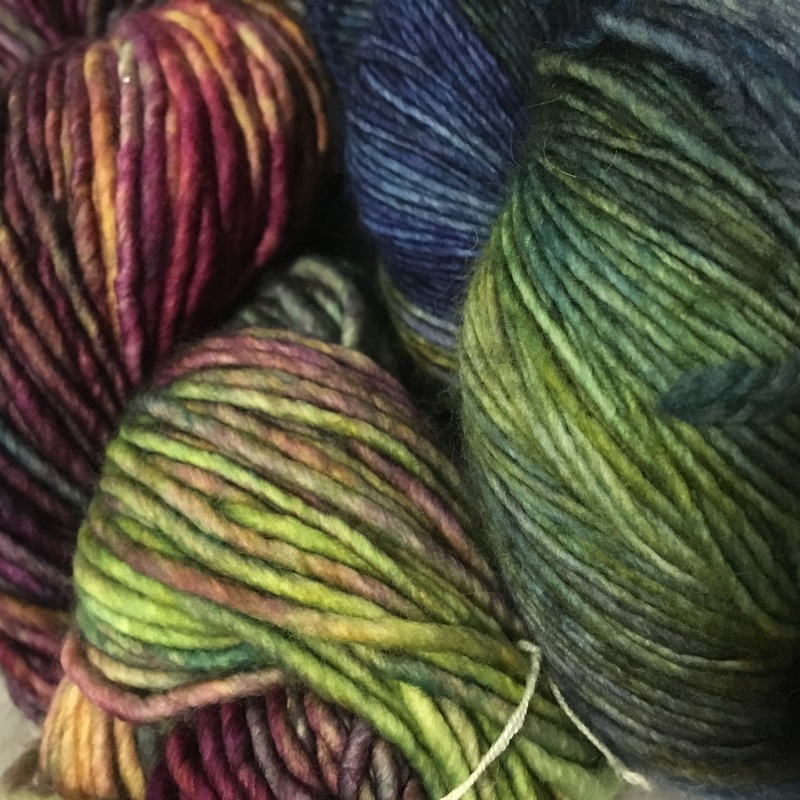 I bought this beautiful hand-dyed yarn and a crochet needle. Nope, I don’t know how to crochet, I’m a knitter .. but I’ve decide Mom can teach me. She crocheted… 30 years ago… and I’ve picked out a really complicated pattern… what could go wrong!? We also visited two lavender farms on the island… mostly because they were there and we thought we should… not because either mom or I actually like lavender. I had a relative that had issues as a child… and lavender was supposed to be calming. Mom would slather him down with lavender until he smelled like a little French whore…. I wonder if he has flashbacks to those miserable days when he smells lavender? I can’t stand the smell anymore…. 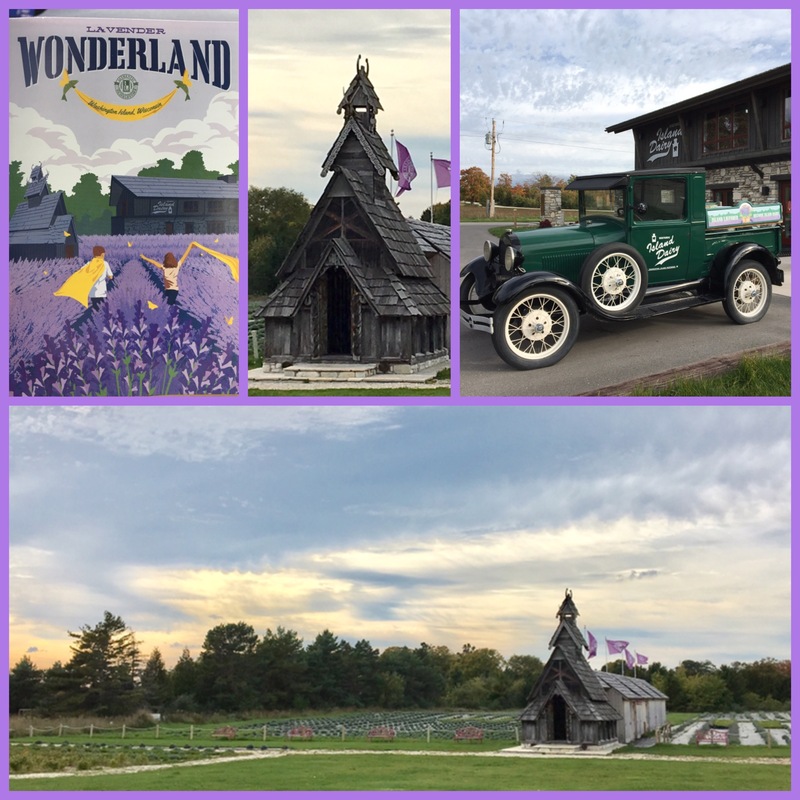 so the lavender farm was pretty, but not the most relaxing stop for us. Brian made us leave after the lavender farm. He was worried that we’d miss the last boat off the island. The water was much rougher on the way back. I didn’t even try to stay in the car. I headed straight to the top deck. I nearly froze to death, but I loved the ride back… bumpy and wavy… I just need air and I’m fine. Boo was royally pissed. She was in her puppy pouch, under my coat and wrapped in my scarf. She was not impressed at all. 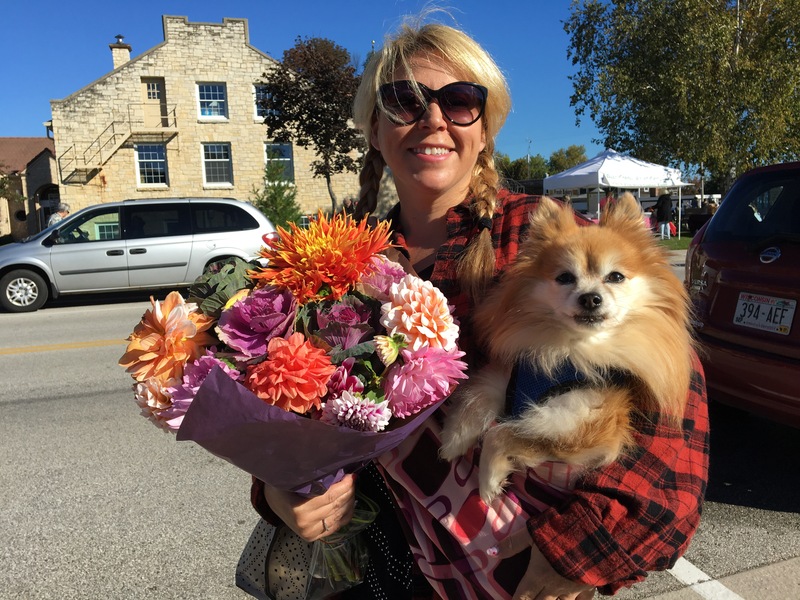 We caught a couple of farmers markets in Door County before we left. I got this huge bouquet of flowers (dahlias and cabbage roses) for $8.00….OMG! Of course I hadn’t packed a vase so I had to improvise. I sliced the top off a milk jug and stuck a rock at the bottom for weight The flowers lasted quite a while and the cats didn’t even chew off the petals! Brown County State Park was our first stop on our Fall Colors Tour…. and our first State Park campground. I saw Brown County State Park recommended on Pinterest. There seemed to be a lot of pretty trails and tree-lined drives that would be pretty in the fall. The campsites didn’t have water or sewer hookups, but there was a dump station and a place where you could fill your water tanks in the campsite area. The sites did have electric hookups. There were nice bathrooms and shower facilities right in the center of the campground. They were clean and nicely lit…. with tons of hot water. *just noticed something that I didn’t even realize until we were at a new campground. 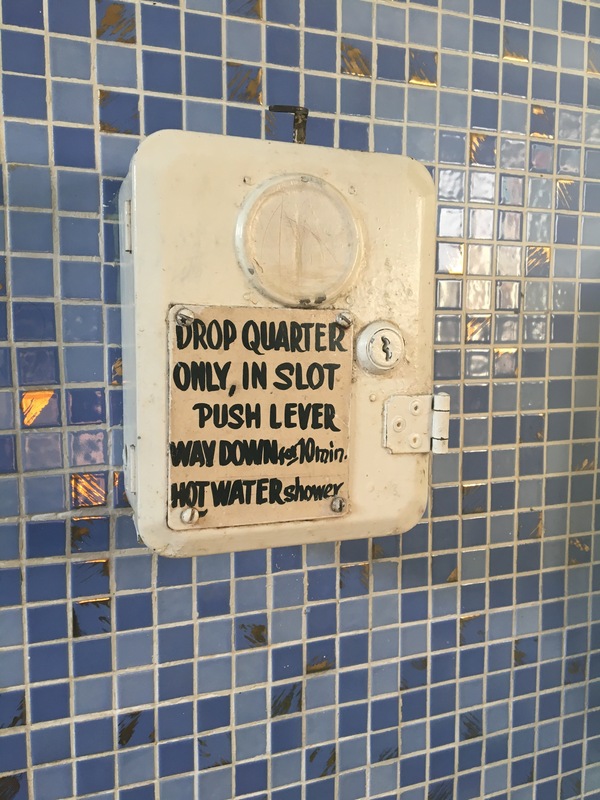 The showers at Brown County State Park had doors like bathroom stalls… with a lock. 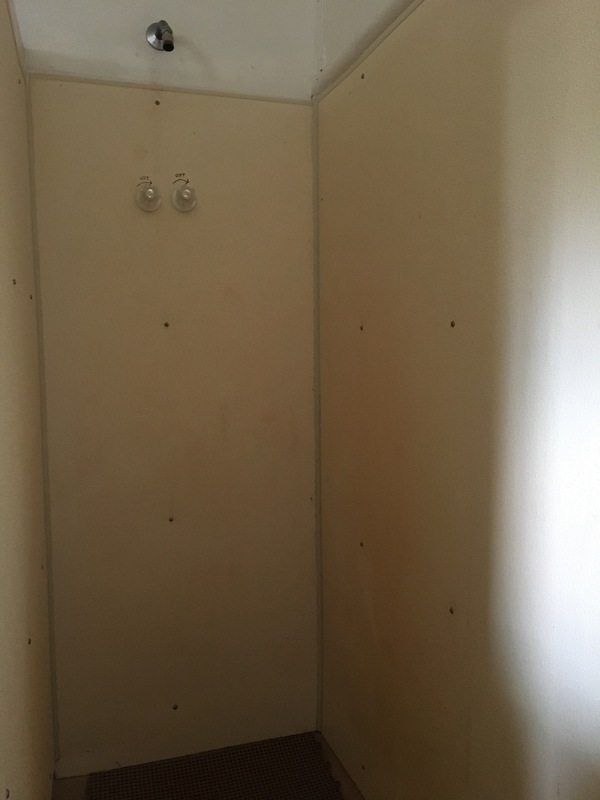 Not a deadbolt, or anything, but at least they had a real door instead of just a shower curtain! The park is huge and the campsites are way deep into the park. While the park is centrally located to the downtown Brown County shops it takes a while to get out of the park. It’s still a good location, but it’s not like you’re out to town in five minutes. There were other campgrounds that were closer to town, but I liked being in the park. The facilities were nice and I liked being so close to all the hiking trails. The spaces were large enough and included plenty of room for the RV and the car and trailer. There was also a picnic table and fire pit at each site. There were large trees dotted around the campground…. it was pretty. I would definitely recommend the Brown County State Park. The park is great for hiking or taking trail rides. They also had a number of events… though we managed to keep ourselves plenty busy doing other things around the area. *Brian said that I should mention that our campsite was pretty level, but some of the others that we saw had quite a bit of slope to them. He suggests that you be sure to look at the photos of the sites on the reservation page before choosing one.